Several months ago I was contacted by fellow blogger Kendra Thornton, of Chicago, IL, who asked me to collaborate with her on a piece featuring several travel bloggers nationwide, each highlighting their own home cities. Here is my portion of the piece, followed by Kendra's portion about Chicago. Enjoy the beginnings of my first group effort! San Jose is a fast paced and culturally diverse Northern California city, famous for its transformation from an agricultural center to a hub of high tech innovation. 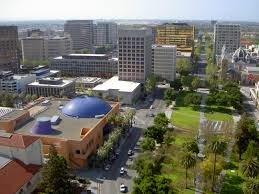 San Jose spreads over 180 square miles and is home to nearly one million residents, making it the 3rd largest city in the state of California and the 10th largest in the United States. It can take nearly 25 minutes to cross the city end to end while driving on the freeway, and that’s without traffic! Where am I? ?—There are many lovely neighborhoods within San Jose itself, such as Almaden Valley, Evergreen, Cambrian, and Willow Glen, but these areas don’t offer much in the way of accommodations. If you are looking more for a bed and breakfast atmosphere with a quaint downtown area, head to the nearby towns of Los Gatos and Saratoga, and check out the Hotel Los Gatos or The Inn at Saratoga . Chances are, however, if you are staying anywhere in San Jose, you are staying downtown. Websites such as hotels.com and Travelocity.com can steer you to any type of accommodation to suit your needs. Two of my downtown favorites? The Hotel De Anza and the Hotel Montgomery…. somewhere only San Jose can offer . 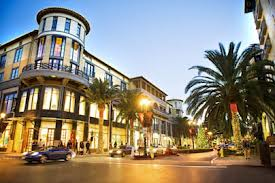 Two hubs of gastronomic selection are Santana Row and San Pedro Square. Santana Row is a busy collection of upscale shops and trendy restaurants, such as Straits, Left Bank Brasserie, Sino Restaurant and Lounge, and Lark Creek Blue. If you’re after a more casual atmosphere, try The Yard House or The Counter. San Pedro Square is downtown and has grown into a center of a wide variety of San Jose food and nightlife. If the urge to dine while there should strike you, try Bray Butcher Block and Bistro, Orchestria Palm Court or Vino Vino. One of my faves, however, is the San Jose landmark Original Falafel's Drive-In. Plastic trays, outdoor picnic tables, and great falafel! This restaurant was featured on Guy Fieri’s Diners, Drive-In’s and Dives a while back. making primarily Pinot Noir, but Zinfandel, Syrah, Chardonnay, and other varietals as well. 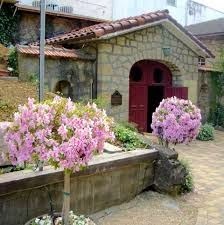 Close to the beaten path in downtown Los Gatos on the site of a former monastery is Testarossa Vineyards, Savannah-Chanelle Vineyards on Highway 9 has music every Friday and Saturday night during the spring and summer months. Another fine spot is Mountain Winery , which hosts a long line of summer concerts featuring headliners such as Foreigner, the B-52's and Gypsy Kings. Now that we’re settled, let’s shop—the San Jose environs has several areas of downtown type boutique shopping, including Willow Glen, the previously mentioned Santana Row, downtown Los Gatos, and downtown Saratoga. If the mall is more your speed, Oakridge Mall and Valley Fair Mall are extensive! There is outlet shopping available too, a few minutes north in Milpitas at Great Mall, and 30 minutes south at the Gilroy Premium Outlets. open at the beginning of the 2015 season. 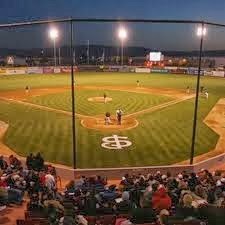 They currently play in Santa Clara University’s Buck Shaw stadium. My favorite however hands down are the San Jose Giants, the single A baseball affiliate of the San Francisco Giants. They play April through August in San Jose Municipal Stadium. Many local merchants offer free tickets to SJ Giants games, making a night watching baseball at “Muni” affordable family fun. Professional football will make its way to the south bay next fall, as the San Francisco 49ers are making the move to a new stadium in Santa Clara. These tickets will be hard to procure, and will be anything but affordable! field trip. 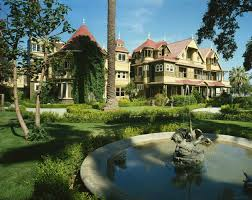 Older kids and tweens are more likely to be interested in the Winchester Mystery House, northern California’s own “haunted mansion.” If it’s summer and the heat is making your brood cranky, head for the water park, Raging Waters, or “over the hill” to Santa Cruz and the much cooler Santa Cruz Beach Boardwalk. Tis the season- If you get lucky enough to be here during the holidays, don’t miss downtown’s Christmas in the Park, a San Jose tradition with an outdoor skating rink, Downtown Ice, as its centerpiece. Vasona Park’s drive through spectacular, "Fantasy of Lights," is a holiday experience you can enjoy in any weather without even leaving your car. A newcomer to the winter scene is Global Winter Wonderland which runs from Thanksgiving until after New Year. Sorry, no links on those last two. That's all for my piece on San Jose! Here's Kendra's piece on Chicago! If travel is an important part of your life, you’ve probably taken a trip to Chicago at least once. If not, you really should. As a travel enthusiast myself, I love living in a city known for its hospitality. The attractions here can be enjoyed as much by locals as by world travelers. I’d love to help you get acquainted with all Chi Town has to offer. Every sports fan knows about Chicago teams. We have professional teams competing in almost every major sporting event. The city’s popular rival baseball teams both play here in iconic parks. Our basketball and football teams have participated in some of the most spectacular moments in their respective sports. Our hockey team, the Blackhawks, took home the Stanley cup last season, and this year looks promising as well. Whenever you visit, be sure to catch a game with family or friends. You know an attraction is good when locals frequent it. Navy Pier is one of my favorite spots to spend time in my hometown. Shopping and other activities can be found here. Views of Lake Michigan are spectacular from the pier. From the 150-foot-tall Ferris wheel, riders are treated to unparalleled sights of the Chicago skyline. There’s no shortage of great places to stay in Chicago. One of the great things about visiting here is the opportunity to explore neighborhoods and checkout the city’s infrastructure. Every part of town has its own unique flavor and feel, but the entire city is uniquely Chicago. When planning your trip, use Gogobot to search for places to stay near the attractions and neighborhoods that most interest you. The variety of options available might surprise you. The food of Chicago is famous the world over. People everywhere have heard about Chicago dogs and deep-dish pizza. Although eating out in Chicago can get expensive, some of my favorite places are reasonably priced diners. One of my favorites is the historic Lou Mitchell’s. My kids especially like eating here because they always pass out Milk Duds to kids and ladies eating here. I like it because the prices are reasonable and the food is top notch. Besides, who can resist the great history associated with the place where the Chicagoan who invented Milk Duds used to eat? Whatever brings you to Chicago; I hope you have the time to enjoy a few of my favorite places while you’re here. My hometown has a lot to offer people from all walks of life. Come soon, and stay as long as you like. Hope you have enjoyed our little piece about our own towns! Stay by GoFamilyGo for an upcoming post all about our getaway ski trip to Bend, OR and both snowy and sunny Mount Bachelor! V. Sattui Winery and I go way way back to my first wine tasting days in the Napa Valley, when my underdeveloped palate still craved White Zinfandel and Off-Dry Rieslings. The attraction for the 1993 impoverished graduate student was the extensive deli, the sprawling picnic grounds, FREE tasting (no longer), and maybe foremost the delightful and unique sweet strawberry taste of the infamous varietal, Gamay Rouge. In fall of 1995, my friend, who had established his membership buying 5 cases of wine and a very large bottle (a Jeraboam? A Methusaleh? A Nebuchanezzar?) for his wedding, invited me to the members only cellar to taste the good stuff. If I liked the winery before, now I loved it, and found the need to be part of the club. Within a few months I had purchased my first case of Preston Cabernet and became a member. Membership requirements at V.Sattui aren't too heavy. Basically you need to buy a case a year to keep your name on file, and it is not hard for this year to lapse to 18 months or more without losing your privileges. You can also join a wine of the month club to enjoy membership perks. Perks? What perks? Well, I must admit they aren't many. In other wine clubs, members can buy wine, even individual bottles, at a discount. Not so at V. Sattui. The primary perks of membership are 1) permission to taste for free a very loosely limited amount of far superior wine in the members-only cellar club and 2) invitations to buy tickets to the over the top wine tasting events that occur throughout the year. These parties used to be reserved for members only and their guests. Now non-members can attend, but their tickets cost more. Guests of members are going to pay the higher price too, and each member is limited to buying two tickets. Anyway, on Saturday January 25, I attended with my husband and friends, Karin and Quinton Hoole, the annual Barrel Tasting Party. Here's the low down. The party ran from 6-930 pm, pretty typical of V. Sattui parties, and cost $89 per member or $98 per non-member or guest (or members who don't realize they are members-wink to Karin). Tonight mixed cases were offered at an additional discount and certain varietals were offered at up to 30% off by the case. Why is it called a barrel tasting party? Because many of the wines offered tonight could be tasted side by side with the upcoming vintage straight out of the barrel. I would be inclined to say that you could do this with about 25 different wines tonight, ranging from Chards to Pinot Noir to Zins to Cabs. Should you like what you taste, you can choose to buy your favorite wine in "futures." What this means is that you buy a case of the wine now at a discounted pre-release price and when it is bottled and released in 1-2 years, you can come and pick it up. We have bought several wines over the years this way, usually splitting a case with friends as having 12 bottles of any one wine can be well, unnecessary. The last case of futures we bought was in October (at the Crush Party); a case of the super yummy Pilgrim Zinfandel out of Lodi, CA. Usually you save about 25% per bottle off the release price, and it's just so fun to get that notice that your "baby is born!" and ready for you to take home! One case not enough? How about a whole barrel?? Tonight V.Sattui was giving their guests the option of buying an entire barrel of wine! That's 25 cases my friend! Five 2013 cabernets were for sale by the barrel tonight, and it looked like the discount was going to be close to 45%. But alas, even at such a great deal, a barrel of cabernet was going to set you back between 7 and 11 grand. Too much for my little wallet! I texted my Mt Veeder Cabernet junkie friend this offer and she turned me down. The nerve of some people! Anyone need 25 cases of Cabernet?? Or should I say drink and food? There were over 60 wines to taste at this party! One MUST pace oneself! Trying everything can be nothing short of disaster. I and several friends have sad stories to tell about overindulgence at a V. Sattui event. Why did I try that Madeira three times???? Anyway, I was completely impressed by our friend and driver, Quinton, who actually tasted the wine and spat it out without swallowing it--now THAT takes willpower. My strategy is to not taste anything out of the barrel. I only taste the current vintages. Craig and I will often share tastes too. Again, tonight's offerings were primarily the side by side tastings of barreled wines and the current vintage of that wine. The entire candlelit main cellar was lined with barrel/current vintage stations, often manned by the winemaker's themselves. There is so much variety that it is hard to keep track of it all, so the winery provides you with a program in order to take notes. There were three chardonnays, several pinots, merlot, syrah, at least 6 Zinfandels, and all the "big Cabs," which are so big you could eat them. Also in the main cellar was a Tikka station featuring Chicken Tikka Kabobs, Veggie Kabobs, Creamy Cucumber Sauce, Mango Chutney and Pita Bread AND a shrimp and grits station featuring Smoked Gouda Cheesy Grits, Sautéed Spinach and Smoked Bacon. Park benches with cozy throw pillows were set up to allow guests to rest while they grabbed a little plate of snacks while listening to the grooving tunes of the Sharp 5 Jazz Band. In the Courtyard all the everyday favorites, Rieslings, Gamay Rouge, Napa Valley Chardonnay, Napa Valley Zinfandel and more are available to try if you haven't had your fill in the cellar. These can be paired with the food at the Pok Pok food station, including Sweet and Sticky Vietnamese Wings and Spicy Isaan Flank Steak. Chardonnay and Cabernet. My fave--the Sattui Family Red! Still able to taste??? Well, I certainly hope so! Waiting in the Main Tasting Room are three 2005 Cabernets; the Preston, the Mt. Veeder and the Morisoli. A bottle of these rare wines will run you over $95, so you actually need a ticket to try these wines, no coming back for more! If your still hungry, you can munch on some Paella with duck and chorizo, also served in the main tasting room. When you've had all you can take, it's time to order what ever you are buying and head back to the courtyard for coffee and biscotti while your order is being prepared for pick up in the main tasting room. That was a lot to experience in a few short hours! My favorite??? The Amador Ridge Zinfandel. I must have tasted it like three times and we bought four bottles. When is the next party?? Check out the V Sattui website to find out about future events and to learn more about the winery and becoming a member! I love this décor! Simple yet elegant! No doubt that this bunch is having fun! Thank you for reading this post! Now I'm off to Mount Bachelor Resort for a few days of skiing! No snow here, so the mountains of Central Oregon beckon!